This giveaway is now CLOSED. Thanks so much to our wonderful sponsor Camenae! We look forward to working with you again! The winner is 'BigHappy_Buddha'. Remember: There are great giveaways active on the upper right hand side of the page! Watch for the next bag in the ‘Spring Into Bags’ series to launch SOON. I have a long time fascination with Asian Art and (a very obvious to my readers) admiration (or is that obsession) with fine leather bags! One of the most recognized Asian symbols of ancient lore is the Dragon, whose origins are traced to China. The dragon is seen as a Protector to many Buddhists, also as a symbol of Imperial Power, Guardian of Eastern Direction (in Feng Shui, Dragons are placed in the main area of the home or office), Controller of Rain & Tempests, Guardian of the Tide Jewels, Bringer of Wealth & Fortune and also as a Magical Shape Shifter. The Dragon sounds a bit like me, "wearer of many hats"! Imagine how surprised I was to find my two favorites merged together to form what simply has to be the perfect marriage between art and handbag! I honestly couldn't believe my eyes when I first saw the 'Dragon Nymph' bag by CAMENAE! While the Dragon Nymph is the smallest of Camenae's amazing bags, it is one of their top selling bags for good reason. The Dragon is a piece of art from artist Bui Huu Hung, whose pieces sell for $3,000+. As this Dragon is drawn exclusively for CAMENAE, it is a highly valued piece of art which has been fused with Italian luxury. Mr. Hung's works are varied but center around a common theme of recollection. He believes that new events, impressions and knowledge are built upon life's historical foundations. He strives to preserve the past by blending it with present day elements so that "it does not become reduced to lifeless words without visual detail". He certainly achieved his aims with this Design. "Dragons have long been a potent symbol of auspicious power, representing the universe, life, existence and growth." This bag is a collectible work of art and I am floored, and honestly plain humbled to have it. I can't stop looking at it! (I have a ring that matches it perfectly, I somehow feel that this bag was designed with ME in mind!) I want it in EVERY color! There are no important details missing, from it's feet to it's unique hardware, it's beautiful tassels and striking unique interchangeable straps, this bag turns heads. It arrives in it's dust bag, and the straps are also packaged in their dust bags. It has a tan organizational Waterproof treated lining that gives you room for your cell phone, sunglasses, keys, MP3 player and more. I love that the Straps are interchangeable (they Lock in place with a key and are easy to attach and remove, just remember to 'unlock' it again when you are ready to swap straps!) 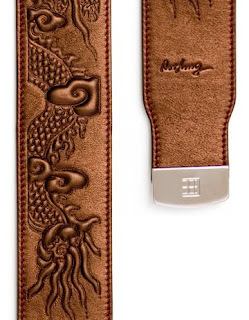 and I love the Dragon Strap in the Metallic Bronze color as pictured above! I feel this color truly does the detail of the intricate Dragon design justice! The Dragon Nymph is part of the Dragon Capsule Collection which is derived from CAMENAE Change a Life: Art + Luxury = to benefit charity. All Dragon pieces are custom designed, with the Change a Life hallmark and artists signature blind embossed on each Dragon item. CAMENAE will donate $10 for every Dragon piece sold to support the Christina Noble Children's Foundation. The Christina Noble Children's Foundation is an International Partnership of people dedicated to serving underprivileged children with the hope of helping each child maximize their life potential. Learn more about this amazing organization HERE. I have had the pleasure of presenting various companies that offer the opportunity of shopping for a cause and knowing that a portion of sales for this bag (and the other products in the dragon collection) help such an amazing cause makes me want to shout it from the rooftops! I hope you will too! The founders have been friends for 22 years and are often mistaken for sisters, I can see why, learn more about the dynamos behind the brand HERE. And because I wouldn't be doing my fashion duty by not sharing special information, I have a preview for you of upcoming bags that are available for pre-order, these are not ready to ship until May 31st! Pictured Above is The Electra double wrap skinny belt, also in Azure, Coral and Halo Gold. 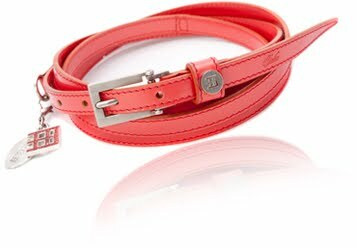 (I can absolutely picture this with a crisp white shirt, indigo skinny jeans and a super cute pair of sandals this summer and the belt in the lovely coral hue shown.) Remember this item is also a pre-order that will ship May 31st. When CAMENAE does color, they mean color, vibrant and bold, eye catching and care free, I love it! 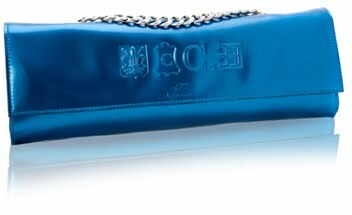 Although the Calypso clutch comes with a chain, it can be removed and used with the Electra belt. Isn't this a stroke of genius? One bag and multiple electra belts gives you amazing versatility and a unique look! And there is a very special reward for you for allowing me to go on and on and on about my latest obsession and fab find! Ƹ̵̡Ӝ̵̨̄Ʒ - WIN IT! - Ascending Butterfly and our friends at CAMENAE would like to provide one lucky winner with the opportunity to win the 'Siren Mogano' Bag (ARV $980)! This giveaway has been made personal by CAMENAE, it is being sent to the winner with the CAMENAE Rivetto Strap (+ $290). 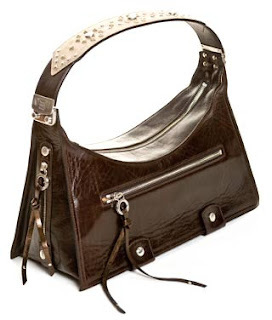 The Siren Rivetto is an exclusive bag/strap combination bringing the ARV of this amazing prize package to $1,135.00 (Normally the Siren Mogano is sold with the strap called 'Personale' remember the straps are designed to be interchangeable, I encourage you to visit the site and see other straps that are available for purchase). But Wait, There's MORE! If you can't wait to find out if you won and want to nab this delicious bag NOW, (and who can blame you!) 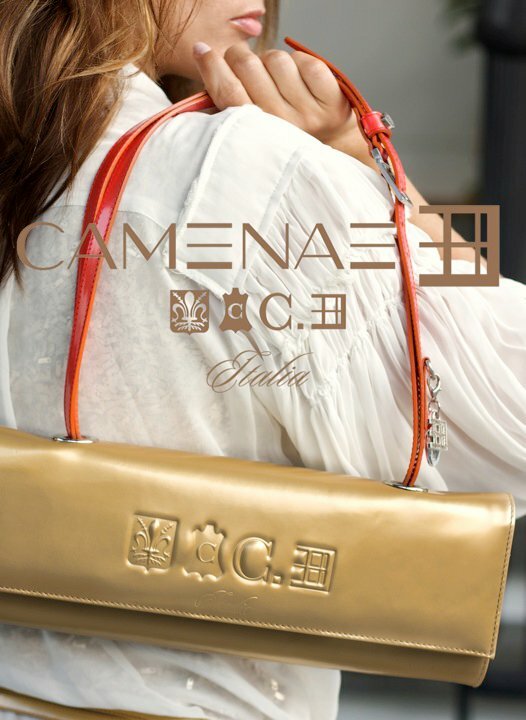 CAMENAE is generously offering an exclusive discount for Ascending Butterfly Readers that you will NOT find anywhere else but HERE, 50% off The Siren Bag (remember in it's original configuration, with the 'Personale' Stap, not the 'Rivetto' Strap as shown above) with use of VIP code: Siren50 (at check out)! WOW! Don't you just ♥ CAMENAE? I know I do! FTC Disclosure Info for this Giveaway: This is not a paid insertion. This is a non-compensated post and all opinions regarding the products are expressly my own experiences. I was provided product to review and for the giveaway, this in no way influenced my opinion of the product. I think I FINALLY might have gotten this right! Successfully fueled the following blog: http://ascendingbutterfly.blogspot.com. I searched around and I love the Aphrodite Sabbia Bag! Wish I had the $$ to buy it! Thank you so much for offering this amazing prize! Entered Luminique Personalized Scented Candles Giveaway! 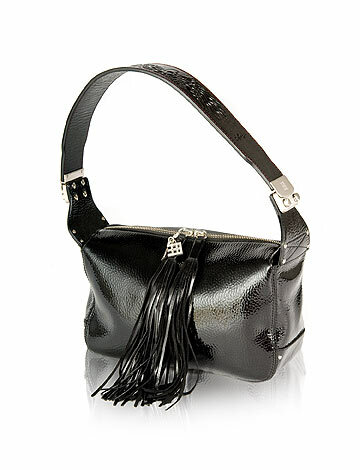 I like this aphrodite bag! I Voted for Ascending Butterfly on: Fuel My Blog! Follow you on twitter now. I like this bag too. I Voted in the Macy's Fashion Director, cute outfit! I hope you win! Voted Ascending Butterfly is a nominee for the Bloggers Choice ’10 Awards in the ‘Best Blog About Stuff’ Category! Good Luck!